With the ever-increasing rates of interventions and managed birth, Midwifery Today’s issue on Induction is an important one. As always, the issue features articles from the brightest minds in the natural childbirth world, as well as passionate mothers, midwifery students and doulas trying to make the world a safer place for birth. Ina May Gaskin has written a powerful and emotional article on Cytotec (misoprostol), detailing the dangers and the problems with the use of this drug around the time of birth. Michel Odent includes his thoughts about the huge ramifications induction puts on the future of our species. You will also delight to read the success story of a mother who gave birth at home after not just one, but five cesareans. Enjoy! 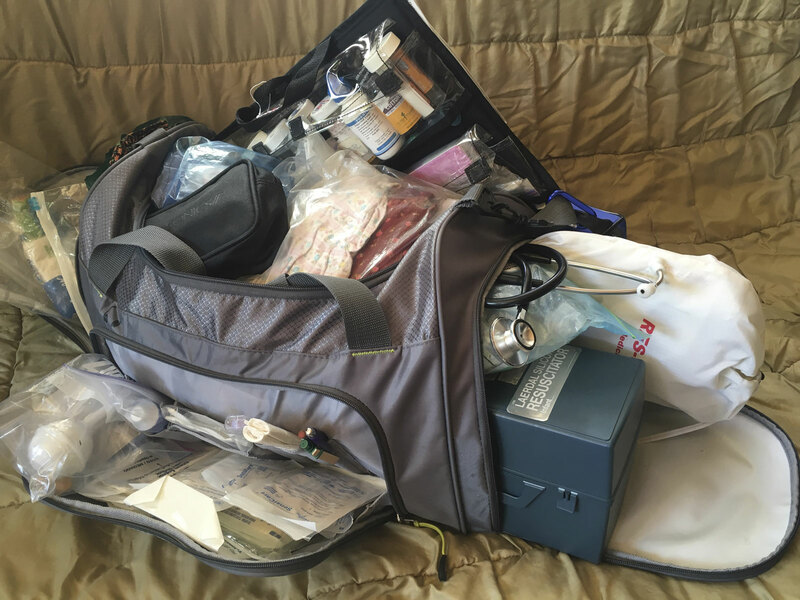 A practical article on the basics for a homebirth midwife’s birth bag. This is a powerful and emotional article against Cytotec and its use in pregnant women written by one of the most inspiring women in natural childbirth, Ina May Gaskin. Get in on the discussion about midwifery in the United States. Where is it going? Is everyone in this together or are different kinds of midwives becoming alienated from one another? How do we achieve balance so more women who might choose midwife-attended birth are better served? Issue 49 addresses numerous concerns from all corners of midwifery and offers some viable suggestions for bringing everyone together in the center. As well, a thorough look at the use of misoprostol (Cytotec) gives readers some very compelling things to think about. It’s always important to be reminded of the basics, such as using the placenta to stop a hemorrhage. Hollie S. Moyer does a fine job of doing just that in this article. Midwifery Today’s editor-in-chief celebrates MT’s 30-year anniversary by honoring 13 of the magazine’s most loyal contributors and gentle birth advocates. Sometimes it is easier to trust the innate intelligence in natural processes when science discovers or confirms through scientific studies the validity of something that is believed to be true, like upright positioning for birth, or something previously unknown, like the benefits of the human microbiota. Most recent is a growing respect of the microbiota at birth and its effect on long-term health. Midwifery Today mother Jan Tritten shares her thoughts on the third stage and how it isn’t such a good idea for this part of birth to be routinely managed.